Is there anything as nice a freshly baked bread? 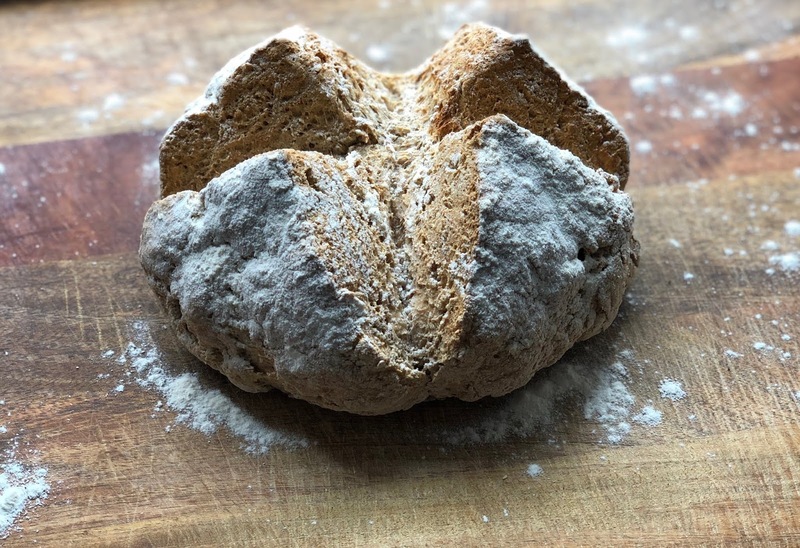 I don't bake bread as often as I would like as making a conventional loaf is a bit of a faff on (who has time to wait a few hours for the dough to rise?). 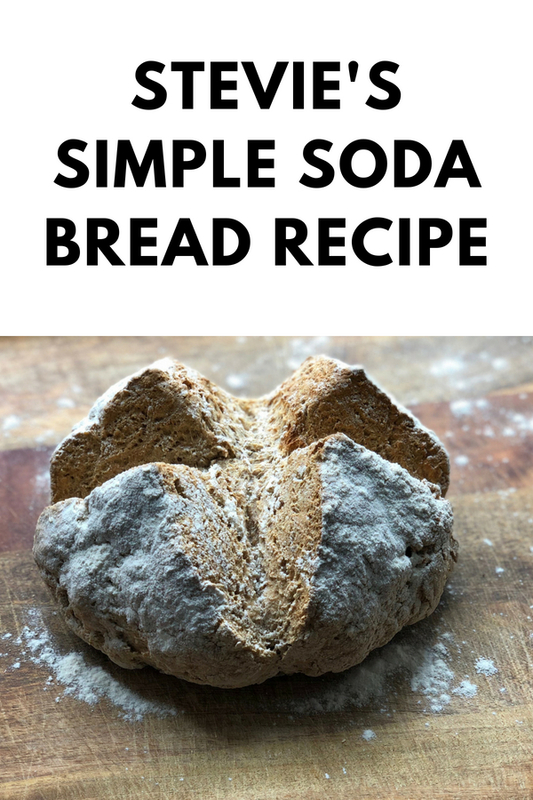 However this is a really simple and quick bread that still has that great fresh bread smell and only takes about 40 minutes from start to finish. 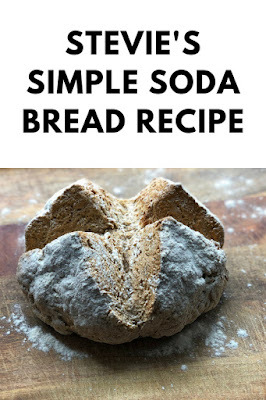 Put the Flour, Salt and Bicarbonate of soda in a bowl and mix together. make a well and add the buttermilk. You might not need all the buttermilk so start by adding half and mixing it in and keep adding more until all the ingredients have combined into a dough. 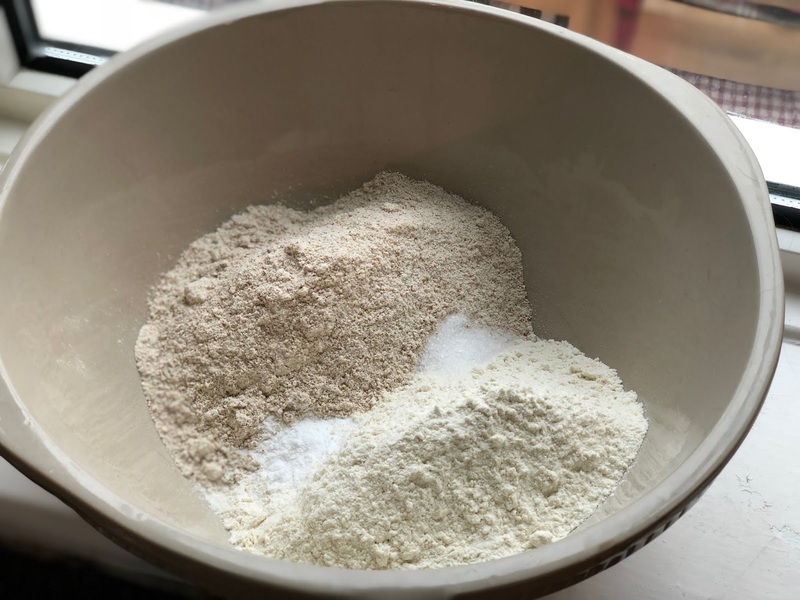 Turn out the dough onto a floured surface and form into a ball, transfer the ball onto a pre-heated baking tray (covered with baking parchment). Cut a deep cross across the middle of the dough and then dust with flour. Bake for 30 minutes at 200ºC, you can check the bread is cooked through by tapping the bottom and it should sound hollow. Let the cooked bread cool on a wire rack, I like to have it when it still warm with some butter or toasted with my favourite breakfast ingredients.